This sweet little book explores the golden rule - do unto others as you would have them do unto you - which occurs in some form in most of the world’s religions. The Golden Rule is unique in its form - being in shape and size similar to a ruler – and is accented with golden ink so that it is both a book on the golden rule and a golden rule itself. 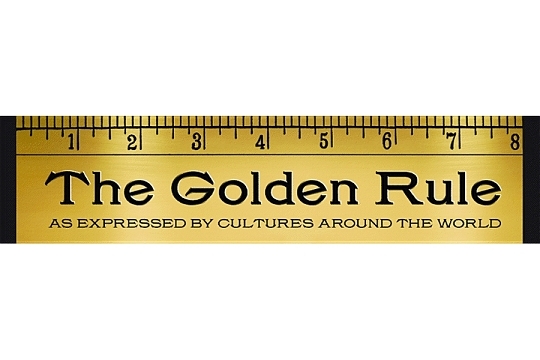 You'll explore the Golden Rule: As Expressed by Cultures Around the World. 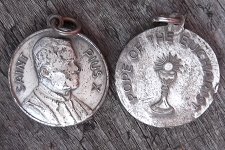 The reflections of both secular moralists and religious leaders are included, encompassing a large spectrum of thought. This special sized soft cover measures 8 inches wide by 2 inches high (just like a ruler!) with 48 pages.